You are currently browsing the archive for the January 2016 category. by Rev. 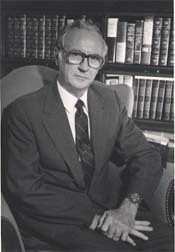 Leonard T. Van Horn. Q. 62. What are the reasons annexed to the fourth commandment? A. The reasons annexed to the fourth commandment are, God’s allowing us six days of the week for our own employments, his challenging a special propriety in the seventh, his own example, and his blessing the Sabbath day. SCRIPTURE REFERENCES: Exodus 31:15-16; Leviticus 23:3; Exodus 31:17; Genesis 2:3. 1. How many reasons are there annexed to this commandment? There are four reasons annexed to this commandment and this is more than for any of the other commandments. God knew men would be prone to break this commandment. 2. What is the first reason? The first reason is, God’s allowing us six days for our own employment. God has been very liberal with us in this area and we should certainly grant Him one day out of the seven. In addition, in modern times very few people work on Saturday afternoon, which is another reason for giving Him one day. 3. What is the second reason? The second reason is, God’s challenging a special propriety in the seventh day. This is God’s claiming the day as His own. He does not claim it as His own without granting us anything from it, for as we use it in the right way He will grant us the greatest joy in communion with Him. 4. What is the third reason? The third reason is, God’s own example in resting Himself from His works of creation on the seventh day. Here there is a spiritual blessing from resting one day by His command. In addition, there is a physical motivation in that He knew it would be good for our bodies for us to rest one day. His example should be followed, all to His glory. 5. What is the fourth reason? The fourth reason is, God’s blessing of the Sabbath. Our Lord consecrates the day to His holy use. The right use of the day will result in blessings for us, “showers of blessings” will fall upon us. The wrong use of the day will result in miseries and woes. (Nehemiah 13:18). It is hard for us today, in the midst of the blatant desecration of the Sabbath, to hold to the authority of God and the commands we find in the Decalogue. On every hand we find that the opposition is strong. The day starts with the weighty Sunday newspaper. Sporting events are the order of the day. The armed services have decided that the Lord’s Day is a day of training. Wherever we turn we are faced with the pressures of the world to deny what many of us have been told from childhood, that the holy calm of a Sabbath morn should be kept throughout the day. Certainly as believers in Christ, we know what we should do. The commands in the Scripture are plain. Six questions in our Shorter Catechism are given to this important question of Christian living. But when we attempt to meet our adversaries with these arguments it means nothing to them. They care not for Holy Writ and win not listen. But there are arguments that they might listen to, and these same arguments would be good for us to take into our hearts and ponder them, all to the glory of God. Mark 2:27 indeed teaches us: “The Sabbath was made for man.” Our Lord knew that we need this Day. We need it because of our physical nature. He made us in such a way that we need to rest one day out of the seven. It is interesting to note that the Deists in France long ago, those who had left Roman Catholicism but had not become Protestants, admitted that they could not get along without the Sabbath. Their bodies craved it. We need it as a day when the family can be together. God put a great emphasis on the family, and the Scripture is filled with admonitions that should be followed by the family. When are they going to be followed? Could not the Sabbath be used in this important area? Prayer, teaching of the Word, communication—these are all important in the family unit. We need it for the teaching we can obtain from the House of God. The preaching of the Word is the primary means of Grace, and we should use every opportunity we have to fill our minds with those things that will keep us from sinning against Him. He knew that a day must be set aside for instruction in righteousness, and we must make use of it. Let us be faithful to Him, and to ourselves in this matter. Let us once again return to the “old fashioned” Sabbath before it is too late. We are in danger of losing what we have in our freedom of worship unless we have some convictions about it. Vol. 4 No. 57, September, 1965. We continue today with our Election Day Sermon Series, authored by the Rev. 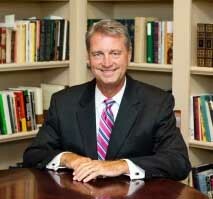 David W. Hall, pastor of the Midway Presbyterian Church, Powder Springs, Georgia. The relevance of this series should be obvious in this election year, and Dr. Hall knows his subject well, having studied these election day sermons and even published a volume of them in 1985. I should note that not every sermon reviewed by Dr. Hall will have been by a Presbyterian, while at the same time his review will most certainly be from the perspective of a convinced, orthodox Presbyterian. We are grateful to Dr. Hall for his willingness to prepare these reviews, and consider this an excellent opportunity for our readers to think through questions of what the Scriptures teach regarding the relation of Church and State, as well as how Christians should view matters of secular governance. 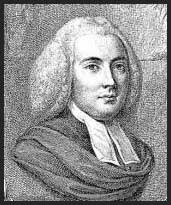 Colonial thinkers Samuel Adams and Rev. Jonathan Mayhew argued against the innate goodness of man with implicit reference to King George III: “Ambition and lust for power,” they claimed, “are predominant passions in the breasts of most men. . . . power is of a grasping, encroaching nature . . . [it] aims at extending itself and operating according to mere will, whenever it meets with no balance, check, constraint, or opposition of any kind.” That conclusion seemed more and more obvious to many American colonists. Notwithstanding, that had not always been the case. Previously in 1521, William Tyndale had written characteristically: “[G]overnment per se is divinely ordained by God in the Scriptures; bad rulers were sent by God to chastise the nation for their sins; rebellion causes more harm to innocents than to the guilty.” William Tyndale also exhibited the received Christian consensus: “God hath made the king in every realm judge over all, and over him there is no judge. He that judgeth the king judgeth God, and he that layeth hand on the king layeth hand on God…. If the subjects sin, they must be brought to the king’s judgement. If the king sins, he must be reserved unto the judgement, wrath and vengeance of God.” By 1750, however, that view was roundly challenged. The duty of submission was not “to all who bear the title of rulers in common, but only to those who actually perform the duty of rulers by exercising a reasonable and just authority for the good of human society.” Once rulers begin to act contrary to their mandates and rule in their own interests—when they rob and ruin the public, instead of being guardians of its peace and welfare,” Mayhew preached (virtually as Augustine taught earlier), “they immediately cease to be the ordinance and ministers of God, and no more deserve glorious character than common pirates and highway men.” Those who “use all their power to hurt and injure the public” were “not God’s ministers, but Satan’s . . . such as do not take care of and attend upon the public interest, but their own, to the ruin of the public.” As such, they did not deserve honor or submission, nor the more practical obligation of tribute or taxes. If any other powers oppress the people, it is generally allowed that the people may get redress by resistance, if other methods prove ineffectual. And if any officers in a kingly government go beyond the limits of that power which they have derived from the crown (the supposed original source of all power and authority in the state), and attempt illegally to take away the properties and lives of their fellow‑subjects, they may be forcibly resisted, at least till application can be made to the crown. The king, as Samuel Rutherford, George Buchanan, and many others had argued earlier, did not have unlimited power. He could not take the lives or properties of subjects lawfully. Mayhew drew on the primary instance of open resistance within the British tradition, the overthrow of British King Charles I by Calvinists and Puritans a century earlier. 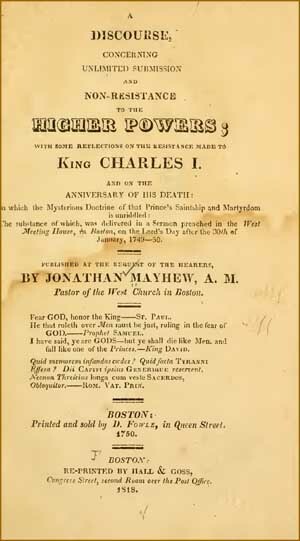 Providing a catalogue of reasons for forfeiture similar to the grounds of the Declaration of Independence, Mayhew argued that citizens had been warranted in overthrowing Charles’ tyranny because he levied unjust taxes, cast courageous men in prison, and betrayed his pledged support of the Protestant faith. Mayhew recast Charles I as Nero when Charles “abetted the horrid massacre in Ireland, in which two hundred thousand Protestants were butchered by the Roman Catholics”—all the while taxing the citizens to pay for such murderous acts of government. The first resistance to that tyranny originated with the king’s own lower magistrates. Mayhew emphasized that this resistance was “Not by a private junta, not by a small seditious party, not by a few desperadoes, who to mend their fortunes would embroil the state; but by the Lords and Commons of England.” These mid-level governors remained faithful to their covenant even if it drew the King’s ire. Resistance was first to arise from “the whole representative body,” not from citizens acting on their own initiative. Cited in M. Stanton Evans, The Theme is Liberty: Religion, Politics and the American Tradition (Washington, DC: Regnery, 1994), 99. Jonathan C. D. Clark, The Language of Liberty, 1660-1832 (Cambridge: Cambridge University Press, 1994), 366. John Adams noted this sermon’s influence in Europe and in America. See his Works, X: 287-288. Bailyn notes that for his “full rationale for resistance,” Mayhew drew not so much on Locke “whose ideas would scarcely have supported what he was saying, but [on] a sermon of Benjamin Hoadly, from whom he borrowed” ideas and phrases. See Bernard Bailyn, ed., Pamphlets of the American Revolution, vol. 1 (Cambridge, MA: Harvard University Press, 1965), 36. In another election day sermon in 1754, Mayhew stated that all means proper were to be used by the government to “Christianize” native American Indians and to guarantee that they not become converts to the “wicked religion” of “Romish missionaries.” See A. W. Plumstead, ed., The Wall and the Garden: Selected Massachusetts Election Sermons, 1670-1775 (Minneapolis: University of Minnesota Press, 1968), 307. Accordingly, he believed the state had a duty to “bring them if possible to embrace the Protestant faith.” Idem. On two other occasions in that same sermon before the Massachusetts House of Representatives, he indicated that governors should support the Protestant religion. Op. cit., 316, 318. The United Presbyterian Church in The United States of America became apostate, officially on January 26, 1981 turning away from adherence to the Lord Jesus Christ by permitting in its ministry a denier of that same Lord Jesus Christ. This was done by the decision of the Permanent Judicial Commission of The General Assembly of The United Presbyterian Church in The United States of America. It upheld National Capital Union Presbytery’s approval of Mansfield Kaseman for ministry. The Synod of The Piedmont had become apostate for the same reason, July 8, 1980. At Presbytery, Synod, and General Assembly levels, Mr. Kaseman had been shown to be guilty of denying or refusing to affirm at least four essentials of the Christian religion: the sinlessness, bodily resurrection, vicarious atonement, and deity of Jesus Christ. Documents of the six trials, two each by Presbytery and the Permanent Judicial Commissions of Synod and General Assembly (1979 and 1980) are available for those who would inform themselves in depth. This paper concentrates on the 1981 decision of The Permanent Judicial Commission of The General Assembly which finally, officially, produced the legal and constitutional apostasy of The United Presbyterian Church denomination. First, after brief statement of the evidence and argument that Mr. Kaseman did indeed deny or refuse to affirm indispensable Christian doctrine, we present second, a somewhat longer critique of The Permanent Judicial Commission decision of January 26, 1981 substantiating our grave charges that in defending apostasy it made The General Assembly apostate. We then third, explain why this apostate action makes the whole denomination apostate and why, fourth, if The General Assembly does not effectively repudiate this apostasy or begin the process of repudiation, every Christian is obliged to separate from the non-Christian denomination. We conclude with an appendix in the form of a proposal for action at The 193rd General Assembly meeting at Houston, Texas, May 19-27, 1981 which may be taken if apostasy is not there repudiated. The substance of the complainants’ case against the National Capital Union Presbytery can be briefly stated. First, the complainants charged that Mr. Kaseman denied or would not affirm the sinlessness of Christ. If Christ was not sinless He could not be the Savior of the world. He would need a Savior Himself. The only response from Kaseman’s defenders was that he was thinking of sinlessness in the sense of frustration. There was no denial that Mr. Kaseman would not affirm Christ’s freedom from all sin. Second, Mr. Kaseman refused to affirm the bodily resurrection of Jesus Christ. The complainants pointed out that according to I Cor. 15:17, “… if Christ has not been raised, your faith is worthless; you are still in your sins.” (NASV) Paul was speaking in that chapter about the bodily resurrection of Christ. There is no other kind of resurrection than bodily because the soul never does die. The only response ever received was that Kaseman did affirm the “resurrection” (not bodily resurrection). The complainants never denied that Mr. Kaseman affirmed a non-bodily resurrection whatever that may mean. Third, Mr. Kaseman specifically denied the doctrine of the “vicarious atonement”. No one can question that without Christ’s atonement for our sins there is no possible salvation. The only response that came from the defenders of Mr. Kaseman was that there are other metaphors beside the concept of substitution that describe the death of our Lord. That never was at issue either. The defenders never questioned the allegation that Mr. Kaseman did deny the “vicarious atonement” which is absolutely essential whatever else may also be essential to the doctrine of the atonement. Fourth, this whole trial first came about in National Capital Union Presbytery when in March of 1979 Mr. Kaseman was asked if he believed that Jesus Christ was God and he answered, “No, obviously No. God is God.” Much discussion followed and much was said and reported in the secular and religious press during the following two years but never did Kaseman ever deny this apostate statement. The Presbytery’s Committee of Representation never said anything to justify Mr. Kaseman. It was once irrelevantly contended that he merely meant to say that Christ was more than God, being man also, but Christ’s humanity was never an issue either. Kaseman denied that Jesus Christ was God. He has never denied the denial. In the second trial before the National Capital Union Presbytery when the same question was put to Mr. Kaseman he refused to answer with a categorical negative as he had before. He also refused to take back his previous statement so that it still stands on the record. He did say at the second interrogation that Jesus Christ is one with God and affirmed belief in the Trinity. The affirmation (which apparently satisfied the majority of Presbytery) that Christ was one with the deity did not amount to an affirmation of the deity of Jesus Christ. The proof of that is the explanation which Mr. Kaseman offered for denying that Jesus Christ is God. If Jesus Christ were God, he asked, how would he answer the death of God theologians: Who was then minding the universe? This only served to show that Mr. Kaseman did not even understand the doctrine of the Incarnation, much less believe it. He apparently thinks that the doctrine of the incarnation means that God ceased being infinite and omnipresent and became finitized and temporalized in a human being! Having such a grotesque misconception, Mr. Kaseman could not possibly believe that Christ was or is God. All of these most grave charges have been repeatedly proven by complainants as the documents of the various trials clearly illustrate. They have complained against the National Capital Union Presbytery for its approving Mr. Kaseman in spite of his demonstrated apostasy. Neither the Committee of Representation of the Presbytery nor any of the higher courts that have heard the case have ever refuted these charges. In some instances, including the final trial, there was no attempt to do so. This refusal or inability was in spite of the fact that the complainants have charged apostasy and pled with the higher courts if they could not refute the charges, to set aside the Presbytery’s decision and discipline all courts which have approved it. The final court at the final hearing, (the Permanent Judicial Commission of the General Assembly in the hearing January 24, 1981), falls far short of saving our Church from the apostasy charged. Actually it itself, by tacit compliance, became guilty of the same apostasy. All that the supreme court of our denomination did was affirm how orthodox our Confessions are, while at the same time upholding Presbytery and Synod in approving a man whose unorthodoxy, in at least four essentials of the Christian faith, had been demonstrated. First of all, . 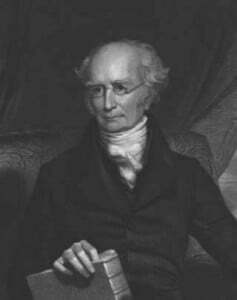 . .
Benjamin Morgan Palmer, who was born on this day, January 25, in 1818, served a long pastorate in the city of New Orleans and had a fruitful ministry there. His was an important voice in the larger community outside the church, as well. When gambling interests sought to re-establish and continue a lottery in that city, he spoke against it. What follows is the report of Rev. Palmer’s efforts, as found in C. W. Grafton’s history of Presbyterianism in Mississippi. The title of this chapter in Grafton’s history is a bit misleading in that, of course, the lottery was not something sponsored by the Synod of Mississippi, but rather was a grievous concern occurring within their borders. At the very beginning of the Presbyterian church in Mississippi a strong decided attitude was taken against all ungodly amusements. For a long time in early days the habit of raising money by lottery prevailed throughout the land. But it proved to be a most vicious and destructive agency in polluting the morals of the people. The city of New Orleans and the whole state of Louisiana, we must continue to remember, were a part of the Synod of Mississippi and did not become separated from the Mississippi Synod till 1901, when the Synod of Louisiana was organized. The Legislature of Louisiana had chartered a corporation in the state to raise money by lottery. In 1891 the license was about to expire and its promoters throughout the state were inaugurating a big effort to have the charter of the company renewed. It was a critical period in the history of the state. The evil effects of the lottery had been set forth during a long period of years and there was a growing spirit in Louisiana against renewing the license. The Christian citizens all over the state agitated the question and were outspoken against it. The money power in favor of the lottery was very strong and it seemed as if the great evil was about to be fastened anew upon the state. The good people of all the neighboring states sympathized with Louisiana and they held meetings far and wide condemning the lottery. In the fall of 1891 a great meeting was held in New Orleans in order to stir up the heart of the people and warn them to use all efforts to arrest the spirit of public gambling. Some fine addresses were delivered, but Dr. Palmer of the Synod of Mississippi delivered the crowning address. His whole heart was aflame with the subject and the sympathy of the big congregation was with him. His address struck the right chord at the right time and it broke the backbone of the lottery. It was a great address and for the purpose of embalming it in the memory of our young people, we are giving it word for word as delivered that night. We leave out the cheers and the plaudits and the handclapping which were in evidence all through the speech. Mr. Chairman and fellow citizens of Louisiana. “I lay the indictment against the Lottery Company of Louisiana, that it is essentially an immoral institution whose business and avowed aim it is to propagate gambling throughout the state and throughout the country. This being not simply a nuisance but even a crime, no Legislature as the creature of the people nor even the people themselves in convention assembled, have the power to legitimate it either by legislative enactment upon the one hand or by fundamental charter upon the other. In other words, I lay the indictment against the Louisiana Lottery Company that its continued existence is incompatible not only with the safety but with the being of the state. In saying this, sir, I desire to be understood as not simply uttering the language of denunciation. I frame the indictment and I propose to support each of its specifications by adequate proof; and I do this the more distinctly from the conviction that there are many citizens throughout our bounds, who, having been accustomed to look at the lottery simply as a means of revenue either public or private, have not sufficiently considered the inherent viciousness of this system itself. And it is that class which I hope this night to reach and to range upon our side in this great controversy. Indeed, sir, if the worst should come to the worst in this present campaign, I for one could wish that, all technicalities being swept away, there might be some method by which the question might be carried up to the Supreme Court of the United States whether it is competent to any state in the union to commit suicide. And if that venerable court should return an answer, which I think they would not for a moment consider as possible, I would then for my part make the appeal to the virtues and common sense of the masses of our people, that the very instinct of self-preservation may stamp out of existence an institution which is fatal to the liberties and the life of the commonwealth. To read the rest of this chapter, click here. Q. 61. What is forbidden in the fourth commandment? A. The fourth commandment forbiddeth the omission, or careless performance, of the duties required, and the profaning the day by idleness, or doing that which is in itself sinful, or by unnecessary thoughts, words, or works, about our worldly employments or recreations. Scripture References: Ezek. 22:26; Mal. 1:13; Amos 8:5; Isa. 58:13; Jer. 17:24, 27. 1. What are the two types of sins forbidden in this fourth commandment? The two types of sins forbidden are the sin of omission and the sin of commission. 2. What are the sins of omission mentioned in this question? The sins of omission mentioned are: (1) The omission of the duties of the Sabbath. These duties would be such things as the neglect of private or public worship, and the neglect of duties of love and mercy that should be performed on the Sabbath. 3. Would it be possible for us to sin even in the performance of duties of love and mercy on the Sabbath? 4. How could we best defend ourselves against such attitudes? We can best defend ourselves by fixing our hearts on God (Ps. 57:7), by claiming by faith our place “in the heavenlies” at the start of the day, asking God to keep us faithful in all things. 5. What are the sins of commission mentioned in this question? The sins of commission mentioned are the following: (1) Profaning the Sabbath Day by idleness. (2) Profaning the day by doing things which are sinful in the eyes of God on His day. (3) Profaning the day by unnecessary thoughts and words and acts regarding worldly matters, by pleasures and recreations that are contrary to all the Word teaches for the lawful performance on the Sabbath. 6. Why is it so important to keep this day as unto the Lord? It is important because God has commanded us to do so and it is important because it is impossible to be holy without the keeping of His commandments. The question is asked by many believers today: “Why has it become such a common thing to break the Sabbath?” That it is a common thing can’t be denied. It is a rare church today where any attempt is made to keep the Sabbath Day holy in the Lord. Did you ever ask a minister, who says nothing about this in his church, why he does not? Did you ever pin him down to giving a reason for it? You might be surprised at his answer. There are two glaring errors in such an answer. The first error is that the keeping of the Sabbath was a ceremonial law. The observing of the Sabbath was instituted a long time before God gave His people the ceremonial laws through His servant Moses. The keeping of the Sabbath is one of the moral laws handed down by God and is just as binding as the other nine commandments. Did you ever notice that in our Shorter Catechism there are more questions devoted to the keeping of the Sabbath than in any other of the commandments? The second error in the hypothetical answer by the minister is that of not expecting too much of the people. This is a common error today of ministers and one that is practiced by many ministers in their work. In the area of Sabbath keeping the average minister of today has simply given up. He keeps quiet; but he is commissioned by God to preach the whole counsel of God and the keeping of the Sabbath must be submitted to the Lordship of Christ just as much as anything else. He should remember that Christ did not eliminate the keeping of the Sabbath. Christ simply placed it where it belonged. He secured It. He placed it under His Lordship. (Matt. 12:7, 8). As a born-again believer, ‘What are you doing about the Sabbath? Do you recognize the Lordship of Christ in this area of your Christian life? Would you be willing to submit every part of your life to this commandment? May God help all of us to do so, all to His glory. We are pleased to begin today our series on Election Day Sermons, authored by the Rev. 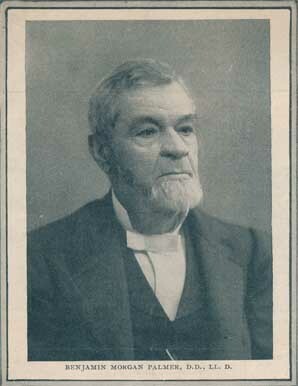 David W. Hall, pastor of the Midway Presbyterian Church, Powder Springs, Georgia. This series will post every Saturday and will run through most of this year, concluding at the end of October. We had originally intended to post the first segment next Saturday, January 30th, just prior to the Iowa Caucus, but Dr. Hall thought the following to be timely, and so we begin the series today. The last post in the series should appear approximately right before Election Day in November of this year. On January 18th at Liberty University, a Republican candidate referred to a Bible passage in his talk (and was criticized for wrongly citing it—although some scholars would agree that “2 Corinthians” is as acceptable as “Second Corinthians” as far as phraseology goes, but we doubt that Mr. Trump was aware of those nuances), advising that Christianity was under siege. While such remarks stir our passions, more than two centuries earlier, another speaker referred to that same passage with an entire sermon devoted to it. If one wishes a more thorough explication of this passage, one could consult Samuel Miller’s “Sermon on the Anniversary of the Independence of America.” Perhaps even Mr. Trump would benefit from a more detailed acquaintance with this classic sermon. In contemplating national advantages, and national happiness, numerous are the objects which present themselves to a wise and reflecting patriot. While he remembers the past, with thankfulness and triumph; and while he looks forward, with glowing anticipation, to future glories, he will by no means forget to inquire into the secret springs, which had an active influence in the former, and which, there is reason to believe, will be equally connected with the latter. 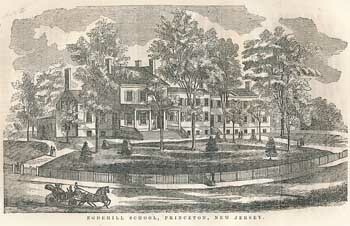 Samuel Miller (1769-1850) was the second Professor at Princeton Seminary (NJ) beginning in 1813. 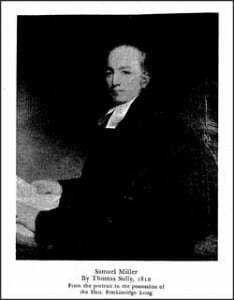 Ordained in 1793, he pastored several churches in New York City (Wall Street and First Presbyterian Churches) The author of numerous theological and ecclesiological texts, Miller is viewed as a co-founder of Princeton Seminary (1813), becoming the pedagogical guiding light for the likes of Archibald Alexander, Charles Hodge, and others. His interests ranged from theater to slavery, and from history to government. He also served as Moderator of the Presbyterian General Assembly. He is a distinct link between the Colonial era and the nineteenth century. The sentiment, then, which I shall deduce from the text, and to illustrate and urge which, shall be the principal object of the present discourse, is, That the general prevalence of real Christianity, in any government, has a direct and immediate tendency to promote, and to confirm therein, political liberty. This important truth may be established, both by attending to the nature of this religion, in an abstract view; and by adverting to fact, and the experimental testimony with which we are furnished by history. Christianity, on the one hand, teaches those, who are raised to places of authority, that they are not intrinsically greater than those whom they govern; and that all the rational and justifiable power with which they are invested, flows from the people, and is dependent on their sovereign pleasure. There is a love of dominion natural to every human creator; and in those who are destitute of religion, this temper is apt to reign uncontrolled. Hence experience has always testified, that rulers, left to themselves, are prone to imagine, that they are a superior order of beings . . .
Christianity, wherever it exerts its native influence, leads every citizen to reverence himself-to cherish a free and manly spirit-to think with boldness and energy-to form his principles upon fair inquiry, and to resign neither his conscience nor his person to the capricious will of men. It teaches, and it creates in the mind, a noble contempt for that abject submission to the encroachments of despotism, to which the ignorant and the unprincipled readily yield. It forbids us to call, or to acknowledge, any one master upon earth, knowing that we have a Master in heaven, to whom both rulers, and those whom they govern, are equally accountable. In a word, Christianity, by illuminating the minds of men, leads them to consider themselves, as they really are, all coordinate terrestrial princes, stripped, indeed, of the empty pageantry and title, but retaining the substance of dignity and power. Under the influence of this illumination, how natural to disdain the shackles of oppression-to take the alarm at every attempt to trample on their just rights; and to pull down, with indignation, from the seat of authority, every bold invader! It is also available as a photographic scan of an original copy, here. Excerpts from Miller’s stirring conclusion are below to entice the reader to access the whole. Again; if it be a solemn truth, that the prevalence of Christianity, has a natural and immediate tendency to promote political freedom, then, those are the truest and the wisest patriots, who study to increase its influence in society. Hence it becomes every American citizen to consider this as the great palladium of our liberty, demanding our first and highest care. . . .To each of you, then, my fellow citizens, on this anniversary of our independence, be the solemn address made! do you wish to stand fast in that liberty, wherewith the Governor of the universe hath made you free? Do you desire the increasing prosperity of your country? Do you wish to see the law respected-good order preserved, and universal peace to prevail? Are you convinced, that purity of morals is necessary for these important purposes? Do you believe, that the Christian religion is the firmest basis of morality? Fix its credit, then, by adopting it yourselves, and spread its glory by the luster of your example! And while you tell to your children, and to your children’s children, the wonderful works of the Lord, and the great deliverance which he hath wrought out for us, teach them to remember the Author of these blessings, and they will know how to estimate their value. Teach them to acknowledge the God of heaven as their King, and they will despise submission to earthly despots. Teach them to be Christians, and they will ever be free. It was on this day, January 21st, in 1843 that The Charleston Observer published a letter from the Rev. 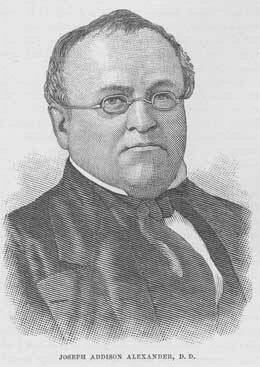 Nathan Hoyt, in which he took care to defend the views of Dr. Samuel Miller, stating that Miller was quite clearly opposed to plagiarism and anything which might be construed as such. In proof of his point, Hoyt provided a letter from the Princeton professor, in which he sets for his high standard and consistent expectation for the ministry. Charleston, S.C., January 21, 1843. Brother Gildersleeve,—During the sessions of the Hopewell Presbytery, recently convened in Greensboro’, it was asserted, no doubt through mistake, that the Rev. Dr. Miller of Princeton, did not disapprove of one Minister’s making use of the plans or skeletons of another in his public performances. I addressed a letter to Dr. Miller, touching this point, and also requesting him to give me his views relative to Plagiarism, as I had been requested by some members of Presbytery to write and publish an article upon that subject. I send with this a copy of almost the entire letter of Dr. M., and would request you to publish it in the Observer, as I have his permission to make what use of it I think proper. It is due to this venerable Father in the Ministry that thosee portions of his letter which I herewith transmit, should be published, ast least, throughout the bounds of Hopewell Presbytery. Whoever reads the Doctor’s letter will perceive that he is the last man upon earth to sanction any approach to Plagiarism. I regard this letter, (which the Doctor says was written in haste,) as richly worthy of being preserved. Yours, &c.
(Copy,) “Princeton, Dec. 29, 1842. Rev. and Dear Brother,—Your letter of the 21st instant, reached me last evening; and, though somewhat pressed with engagements, I seize the first opportunity to reply. It has always been my aim, in my Lectures on Sermonizing, to express the strongest disapprobation of Plagiarism in every form, as basely deceptive and mean, as really immoral in its character, and as calculated to injure the man who practices it, and ultimately, if he be a Minister, those who attend on his ministrations. When I have been asked what Plagiarism is? I have uniformly answered, that it is not easy, in all cases to draw the line. On all the great leading subjects of pulpit instruction, there is a large mass of common-place ideas which have been repeated by successive writers, for hundreds of years past. He who, in preaching on Faith and Repentance—on Justification and Sanctification—on Christian hope and Eternal Blessedness—should resolve to say nothing but what was strictly original with himself; nothing that had ever been expressed, even in substance, by any one before, would certainly never be able to preach at all. In this sense, no man, however great his talents or his learning, can hope to be regarded as an original at the present day. I. When a writer or speaker delivers, as his own, the whole, or the greater part of the work of another, in the language of the original writer. This is the most gross and shameful form of the offence. II. When a writer or speaker copies the whole plan of another—adopting his divisions, his subdivisions, and, in the main, his whole arrangement—making only some trivial alteration here and there in the style and minuter details, for the sake of avoiding the charge of being a servile copyist; such a person deserves to be called a Plagiarist. He is nothing but an humble retailer of the thoughts and language of others. III. He who allows himself to copy verbatim even a single paragraph, without acknowledgment, exposes himself to the charge of Plagiarism. One who means to be strictly delicate and accurate on this subject will never copy the very words of another, without advertising his hearers or readers of the fact, by saying, as he passes along–”to use the language of another,” or “in the language of an elegant writer,” &c. I would certainly advise that this be done, even if the quotation extend only to a single sentence. IV. If a thought be very striking and original, I would not allow myself to adopt it, without acknowledgment, even if it were expressed in my own language. It were easy to select some remarkably beautiful thoughts from Bacon, from Milton, or other great masters, of sentiment and diction, which so exclusively belong to them, and that it were great injustice to repeat any of them without tracing the property to its right owner, either by directly naming him, or acknowledging, in some way, that they do not belong to him who quotes them. I have sometimes advised my pupils, whenever they hear sermons which exhibit a very striking or happy plan, to make a record of it, and have suggested to them, that although copying the plan or plans, thus recorded on the same texts, or even when treating the same subjects, would be Plagiarism; yet, that to a watchful, active mind, looking out for analogies and relations, a happy plan on one subject may suggest a still more happy one on an allied subject—or even on one very remote at first view. I have never given any advice or counsel different from what I have above stated. If Mr. _____” makes any different representations, he misunderstood and misrepresents me. Yet I can easily imagine how he might have mis-apprehended my suggestion—stated in the preceding paragraph—respecting striking plans of sermons. By a little inadvertence, he might have supposed me to mean, that such plans might, with propriety be used, when preaching afterwards on the same texts.